9-1-1 Operator: 9-1-1 Calgary. What’s your emergency? Me: *imagine the most dramatic, Scarlett O’Hara voice* I’VE BEEN ROBBED!!!! 9-1-1 Operator: *calm, cool, and very collected response* Okay m’am. You say you’ve been robbed…what does that mean exactly? Me: *stop the dramatics with the dose of reality* Oh yeah. Details may help. Our house was broken into and [these items] were stolen. 9-1-1 Operator: Okay. Your home was broken into and items are missing. Are you currently there? 9-1-1 Operator: Is the intruder still there? And so on the call went until the police showed up. What this points to is the importance of being super clear with what you are referring to. “I’ve been robbed” could mean a number of things. I could have been mugged on the street, beaten down and left bleeding. Someone could have been in my house at that very moment (although I hope I wouldn’t have been so loud in my declaration of being robbed). Or, someone could have simply broken my heart and I could be overreacting by calling 9-1-1 to have them help find my heart. So how does this tie into your marketing content? When looking at your content, or speaking to an audience, stop and take a moment to think about what else your word choice could be saying to someone. If there is room for multiple interpretations, take some time to rethink exactly how you could be clearer in your message. This will help you not only have a better understanding from your audience, but could also help you become more clear about your purpose. 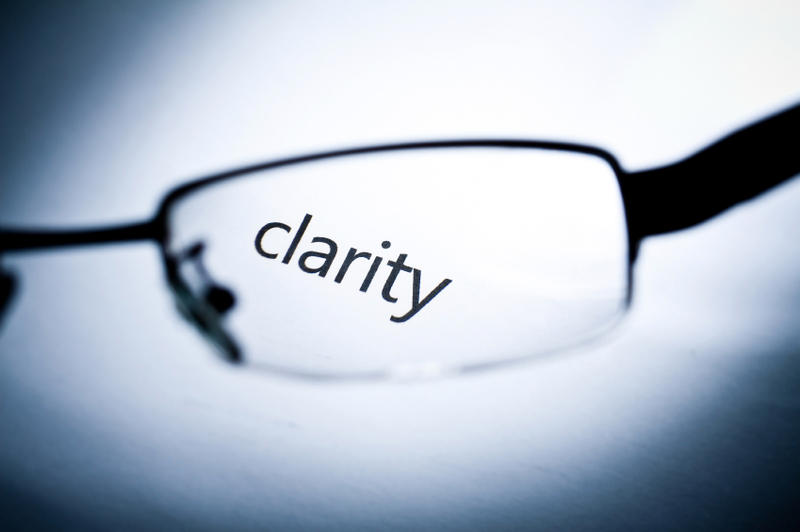 Clarity is a win-win for everyone! Someone has broken in my house between [time] and [time] and [these are the items] were stolen. I wasn’t home at the time, but I am home now. As far as I can tell no one is here at the moment and (hopefully) I do not know who broke in. Thankfully my puppies are a-ok! Now – go find your clarity!